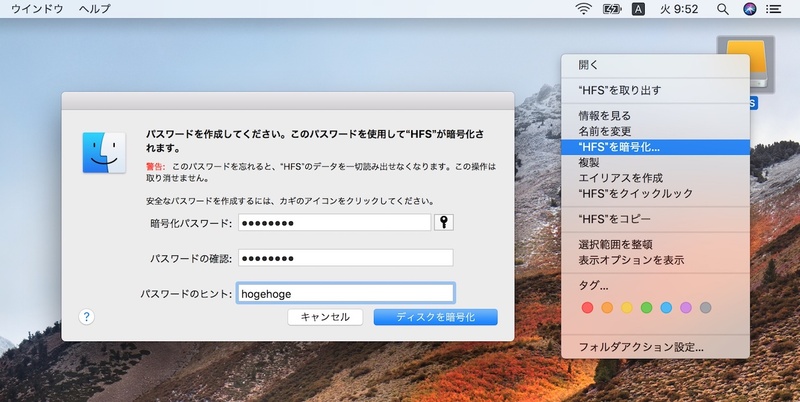 macOS High Sierraでは「ディスクを暗号化」機能はデフォルトでAPFSが選択され、HFS+のボリュームも警告無しでAPFSへ変換されるので注意。 | AAPL Ch. 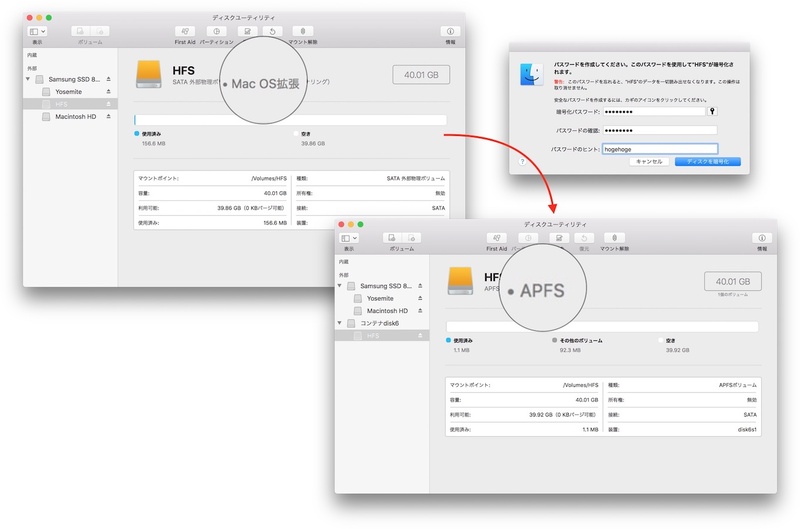 Oddly, though, CCC, Disk Utility, and Terminal all agreed that his HFS+ volume was now an APFS Encrypted volume. Naturally he contacted AppleCare. “Not possible, says Apple”, he reported. This is perhaps the most important caveat to this conversion. When I made the choice to encrypt my volume, I made a choice that I knew was reversible. Once encryption conversion has completed, I can right-click on the volume and decrypt it if I decide that encryption wasn’t the right choice. 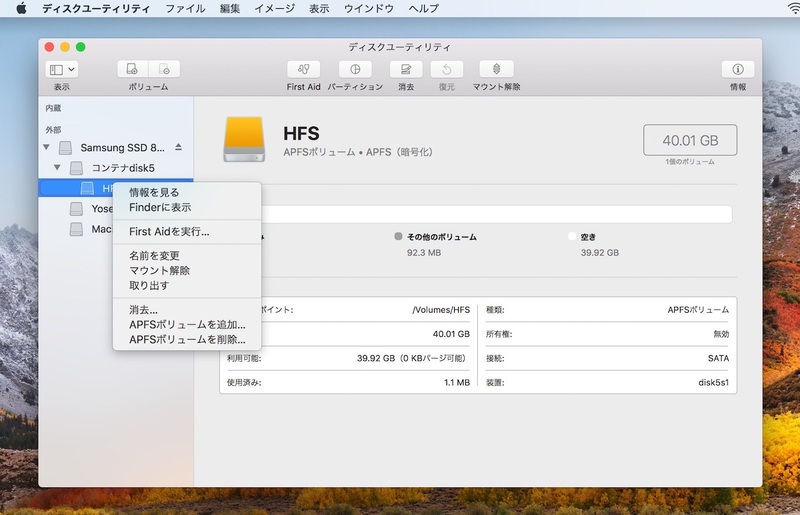 But if I disable encryption on my APFS volume, the APFS part sticks – it’s not possible to convert an APFS volume back to HFS+ without erasing it.